The Art Center Highland Park - What A Great Website! The nonprofit arts organization offers education in contemporary visual arts. They also have a gallery, host all sorts of art functions and rent space for private events. Their previous website was a nightmare to update. 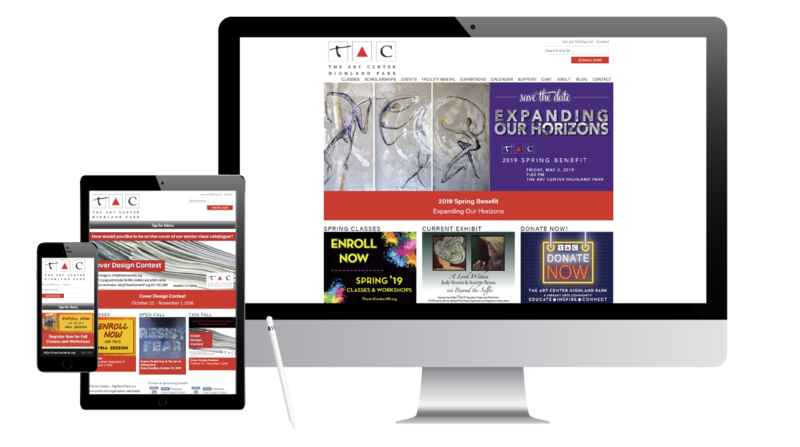 We built them an easy-to-update WordPress website, then worked with The Art Center staff on a design that fits their aesthetic brand. Now, they can quickly add upcoming events and successfully update on an almost weekly basis. The organization is currently transitioning to a new class registration system.